Indian jewellery comprises its uniqueness because of its traditions. Indian jewellery is not the same for all purpose it has many variations according to the purpose. Indian jewellery has many options for bridal jewellery and has a full set of all the ornaments for an Indian bride. Bridal jewellery is not a single piece item it consist so many items from head to feet in it. 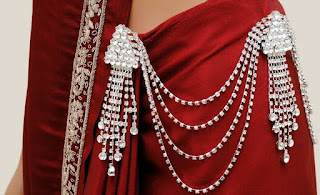 Wedding jewellery helps Indian a lot to complete the look of a bride. The jewellery in Indian wedding also depends upon the wedding traditions. A bride cannot look like a bride in only wedding attire if she doesn’t wear the jewellery. Jewellery makes a bride to bride. Indian wedding jewellery is not same in all region of India. It varies from state to state or place to place, for example in the northern region wedding jewellery and style of wearing jewellery is different from the southern region of India. In the northern region the bride wear jewellery with gemstone and polka jewellery and jewellery with meenakari. Even she wear traditional imitation jewellery just to complete the look or according to her attire. Mang Tikaa: - It is also called as Mang Tikaa, bride wears on the middle of her head and its main part lies on the forehead. Hindu bride wears Mang Tikaa and in the Muslim religion their bride wears head gear which lies on the left or right side of their head. Style Fortune provides vast variety of Mang Tikaa at genuine prices. A Mang Taik can be made of pure gold or may be made by, gemstone or polka or gold with Meenakari. Style fortune also has a wide variety of intricately designed Gold, Pearl & Jaipuri Kundan Circular shaped Maang Tikaa at best price. 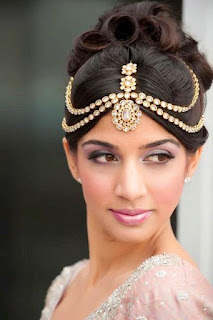 Shingar Patti: - Shingar Patti completes the look of Mang Tika and lies between head and forehead which covers hairline (below the hair line). Style Fortune provides vast verity of Shingar Patti at genuine prices. Style Fortune is very much concern about quality of the products which are trendy and offered to the customer at best price compare to other ecommerce platforms. Bridal Set: - Bridal set naturalize the necklace and earrings. Neck piece is very heavy and the earring includes the Jhumkas in it. Neck piece can be made of gemstone with gold or polka and of pure gold with Meenakari. 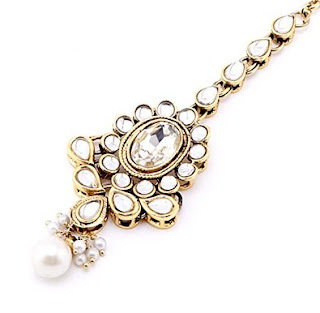 Generally neck piece vary according to the wedding attire. It can be short or may be long as conformity with the tradition. Earnings can also be heavy or light in weight according to the tradition or modified with fashion jewellery. 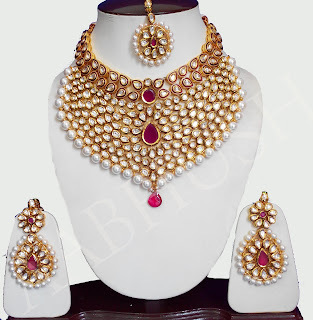 Earrings and necklace have matching with other so they make a bridal set. Style Fortune provides vast verity of Bridal set at genuine prices; the following picture is of prevailing trendy design. Bridal sets are designed to enhance the beauty of the wearer. These sets are widely demanded in the market for Alluring designs, Light weight and Fine finishing. Nose Ring (Nath): - Nose ring is the ornament which is to be wear in nose and it is also called as “Nath”. Its size depends upon the culture for example in the Muslim culture the size of nose ring is generally small but in the Hindu culture size of nose ring is quite big, also available in many designs and has conformity with fashion. By focusing on diverse demands of our valued patrons spread all over the nation, Style Fortune is instrumental in offering an exclusive range of Ladies Nose Ring. Customer can avail these nose rings from us at market leading rates. Bangles and Armbands: - A bride wears bangles in the wrist and band the armband on the arm. Bangles are loose to wrist whereas armbands are fixing to the arm. Both the bangles and armbands are available in the market with many designs and styles. Both the item also made with different kind of metals also.Style Fortune provides vast verity of Bangles and Armbands according to precise demands of customer. Each product features Gleaming look, Alluring finish and Varied sizes. Rings: - Bride wears rings in the fingers of her hand and it has to relay with the wedding outfit. 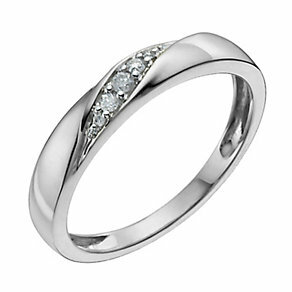 Style Fortune provides vast variety of Ring at genuine prices. Anklet: - Anklet is the ornament which has to be wear in the ankle of feet. It is also called as “Payal”. Style Fortune provides vast verity of Anklet at genuine prices. Manglesutra:- Manglesutra is a neckpiece made by the black beads. 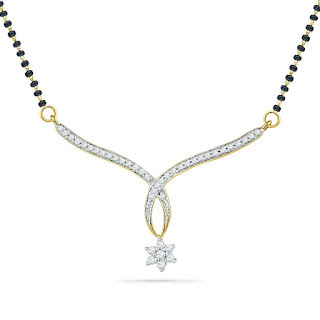 And bride wears it in her neck, its symbol of marriage. Style Fortune provides vast variety of Manglesutra at genuine prices. Toe Ring: - Toe ring a bride wear in the finger of her feet or in the toe. Style Fortune provides vast variety of Toe Ring at genuine prices. Kamar Band: - Bride used to wear this around her waist in the earlier times. But it is back again with unique variations. It is meant to keep the dress at its place and to support the attire. Style Fortune holds expertise in offering an exotic collection of designer Kama Band to enhance beauty of Indian women. The gracefully designed belts are admired for their sophistication, dazzling finish, glossy shine and exclusive appearance at genuine prices. Style Fortune focus on offering a designer collection of Jewelry which is famous for their time-honored patterns and designs. Owing to selected designs and interesting charm, these Jewelries are highly praised by large number of customer. These are offered in various traditional designs, styles and color combinations as per the precise requirements of customer. Our Jewelry features Traditional patterns, Appealing looks, Antique look and Contemporary styles.